An Easy Game Made Hard! We all know that when playing the NES classic Kirby's Adventure that the game is quite easy, especially for a game in the time period it was released in when most games were extremely challenging. But recently I had the idea to beat the game without using any enemy powers or continues! So here is our first classic challenge feature, Enjoy! The first world was relatively straightforward until the third stage in the world, where I had some difficulty passing some rather tricky enemies that were hard to just avoid or use kirby's normal abilities on, but after losing two lives I finally beat the stage, and breezed through to the boss Wispy Wood. Wispy is actually easier to defeat without powers believe it or not, so he was quickly dispatched without hitting kirby one time! I can't begin to express how much I hate those football shaped coconut bombs in this world without any enemy skills those bombs are deadly! I managed to beat the first level without too much difficulty, however the second level proved challenging without the wheel ability obtained from the boss in the second half of the level, but I somehow managed to survive without losing more than half my health. I only lost two lives in stages three and four "one was an epic fail on my part", but stage 5 proved challenging at the end of the stage as there is an area littered with blocks, as well as the infamous bomb enemies that while normally easy with the easily accessible high jump ability is extremely hard without it as a result I lost two more lives and was dangerously close to a game over at this point, but I finally beat the level on my third try! The boss Paint Roller was easy enough to beat without dying, but with only two lives left I found myself in a real pickle! Did I lose the challenge or did I continue to progress through the game? Find out in the next part of this feature tomorrow! I like the premise of this feature and it was fun to read. 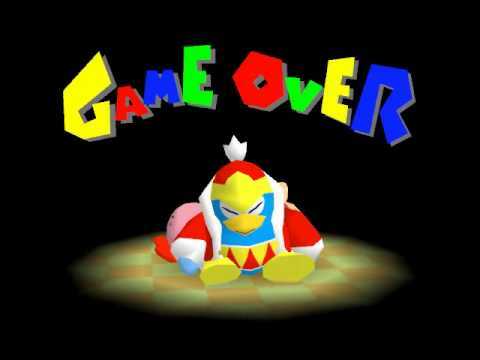 Every time I play Spring Breeze I don't use any power-ups or summon any Helpers. 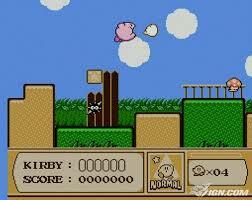 I'd rather play it in the same manner as the original version, the iconic Kirby's Dream Land.